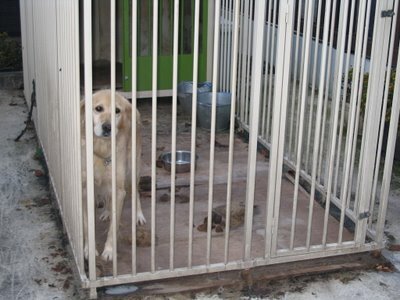 This friendly Golden Retriever never gets out of this cage - and "never" means really never - not even for a walk, as you can see in the excrements he's sitting in. 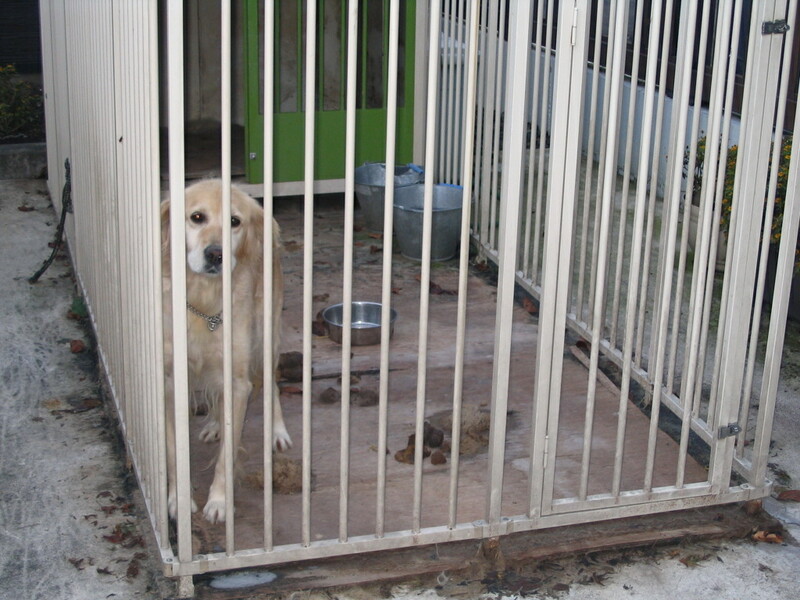 The cage is in front of a house selling company, I guess the dog is meant to be some kind of decoration. They give him food and water, and once in a while the excrements are flushed away with a hosepipe, and that's it. 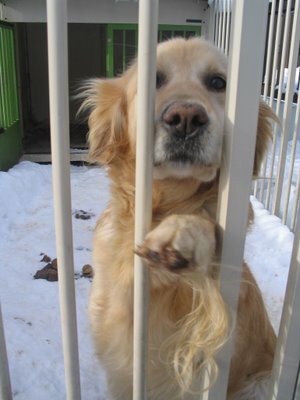 In Japan, there are many dogs living like this. In the immediate surroundings of our house I know already three of them. Instead of a cage it may be as well a short chain attached to a hut. None of them is ever being walked or played with or allowed to meet some fellow canines. Really a dog's life. Ignoring a dog is just as cruel as beating a dog. Dogs are social animals and need human contact. I would say at least 50 % of all dogs in this town live attached at a hut in front of the house (although most of them are walked at least once a day). Hi Julia! My name is Martina and I currently live in Kitakami as well. I read this blog one day last fall and felt really sad about it. Then, this March, I walked past her (her name's Sakura) while making my way down to the river walk and recognized her from your photos. I went inside and asked the office people if they'd mind me walking her daily. They gave me a leash and off we went. She still lives in a poop-filled cage and is ridiculously stinky, but the walks and lil snacks I give her are helping I think. Once it's warm enough to bathe her, I'll do that as well. I'm really happy you put this photo up as it was what inspired me. Unfortunately, I will be leaving in August, so if you know anyone who aches for puppy love, send them to her! Shrine corner in an old japanese farmhouse. Late afternoon sun on the Kitakami river.